10. In the months of October to January, you can swim with whale sharks in the Gulf of Tadjourah in Djibouti located in the Indian Ocean at the western end of the Gulf of Aden. This is possible because of change in ocean currents and high concentration of plankton in this area during this season. 9. The most luxury train in the world to date is found in South Africa. It is named “The Rovos Rail”. Rovos Rail is a privately owned railway company operating out of Capital Park Station in Pretoria, South Africa and it is arguably the most luxurious train in the world. Its route covers entire Southern Africa, from South Africa to Namibia and Tanzania. 8. The world’s biggest frog comes from Cameroon. It can grow up to 33 cm in length (over one foot) excluding the legs which can also be up to 1 foot long when stretched. They are known to be the largest species of frog on earth and are called Goliath Frog. 7. The Second Congo War killed an estimated 5.4 million people. It started in 1998 and involved eight African countries. It is said to be the largest war in African history. This made the Second Congo War the deadliest worldwide conflict since World War II. The war was officially ended after 8 long years (2006), however, there are still hostile activities till this present day. 6. 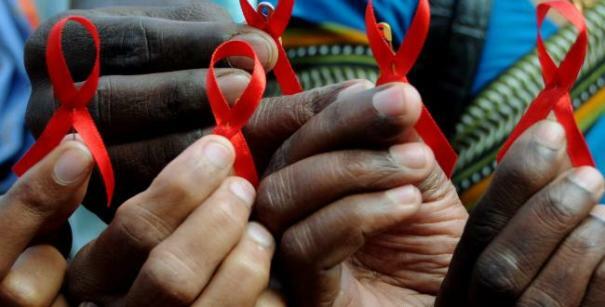 South Africa has the highest number of people living with HIV/AIDS in the world (5.6 million). That is approximately 9% of the entire population and an adult prevalence rate of 17.8% (15-49 years). This value is the highest in the world and quite significant when compared to Canada with 56,000 and Croatia and Qatar with only 200. 5. Benin, a country in West Africa has the highest national average of twinning, with a whopping 27.9 twins per 1,000 births. This evidence was based on databases for 76 developing countries which forms the most comprehensive study on twins so far for the developing world. This includes data on approximately 2.5 million births by nearly 1.4 million women which were collected between 1987 and 2010. It is on record that of the developing nations studied, 13.6 twins per 1,000 births were born on average. 4. In Tunisia, the images of fish are commonly used because it is believed that it offers protection against evil. You would often find new buildings with fish bones or fishtails embedded in them while construction is ongoing. Cars are not left out as they have brightly coloured fishes attached to them which could be in form of plastic or cloth. This is done to provide protection to the passengers. 3. The skeleton of “Lucy,” a hominid who had lived approximately 3.2 million years ago was identified in 1974 and has been considered a common ancestor of the human family. This jaw-dropping discovery took place in Hadar, Ethiopia and that was not the end. In 1979, a 165-foot trail of the earliest hominid footprints was discovered in the Kibish region of Tanzania. With these facts, North-Eastern Africa was marked as the birthplace of humanity. 2. The “evil eye” originated in North Africa and the Mediterranean region of Africa. It is widely believed that the “evil-eye” causes harm or bad luck especially when the individual is already vulnerable or sick. In Morocco, it is common for men and boys to decorate the backs of their cloaks with bright red eyes to reflect back and cast off the look of the evil eye. 1. Fairy Circles (Circles of life and death): In the sandy desert grasslands of Namibia in southern Africa, mysterious bare spots known as “fairy circles” has been known to appear. The circles would form and then disappear years later for no reason. Sometimes, the largest of the circles can linger for a lifetime. The small fairy circles once formed can stay up to an average of 24 years, while larger ones can last up to 75 years. In 2005, tens of thousands of Fairy Circles formed which exposed the red sandy soil in the area. A short time after the circles formed, a tall ring of grass grows around the border, highlighting the bare area. Looking at the circles, one may assume that they mark underground nests of harvester termites. However, digs have shown no evidence of termite nests under fairy circles and no other explanations has been able to provide an acceptable answer.